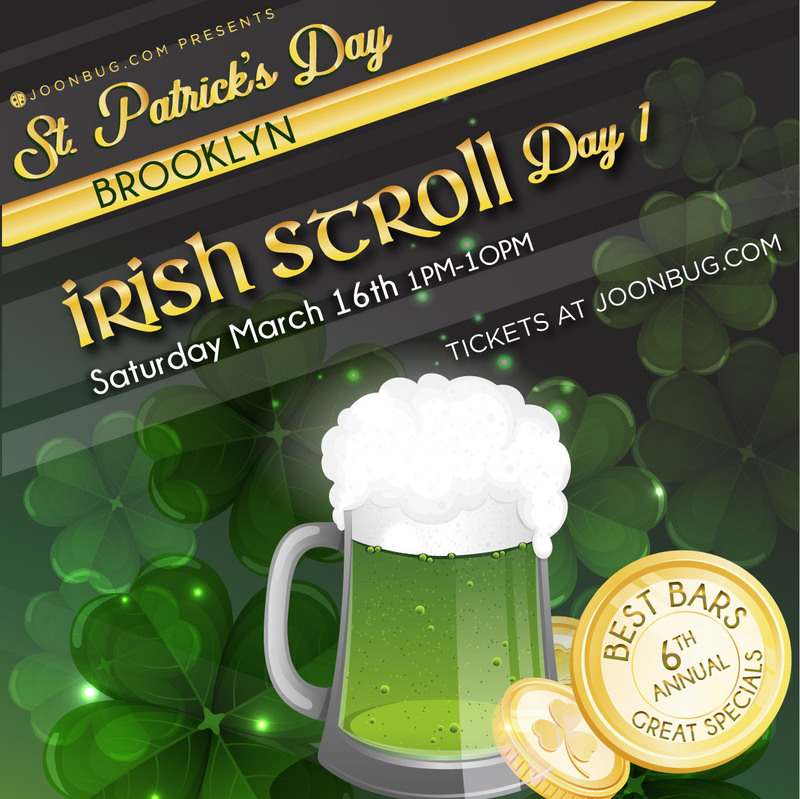 Brooklyn is showing the world how to do a bar crawl right this St. Patrick’s Day weekend with its Irish Stroll. We’re launching Day One on Saturday March 16th, when all of Park Slope’s most spirited hotspots will open their doors cover-free to celebrate Irish Pride. Frothy pints, great beats, and fellow hobnobbers dressed in green are waiting for you in Park Slope. Grab your crew or fly solo in a sea of green – it’s time for clovers and cocktails. Get ready to clink and drink, the Irish stroll has arrived in Brooklyn. From 1pm to 8pm, register at the designated registration site. Grab your wristband and map and go out on the lash! Groups over four looking for a wee bit of fun can take advantage of a group discount and multi-day passes are available for Brooklyn’s most enthusiastic Celts.